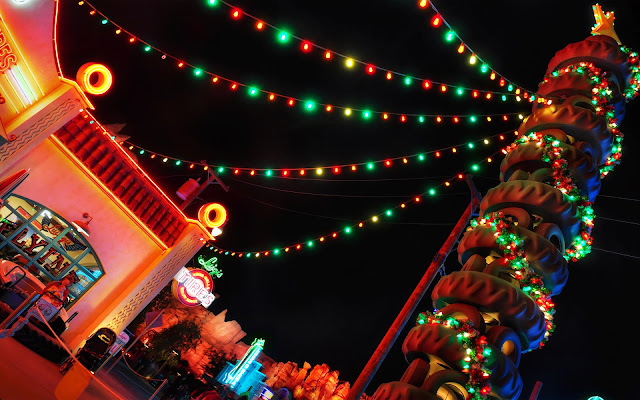 The Christmas decorations for Luigi's aren't significantly different from the regular decorations. A wreath up the Leaning Tower of Tires. Colorful hanging lights instead of white ones. But oh, what a difference the colors make! They add a bit of pizzazz and a lot of vibrance! It's lovely how they appear, twinkling overhead. Bellissimo! as Luigi might say. Luigi's during the holiday season sparkles with color.